You can learn more about the Integration upgrade for this kit at this link. The stock kit is designed for 120VAC mains. 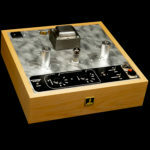 Select this option to order the kit with a 240VAC power transformer instead at no additional charge. 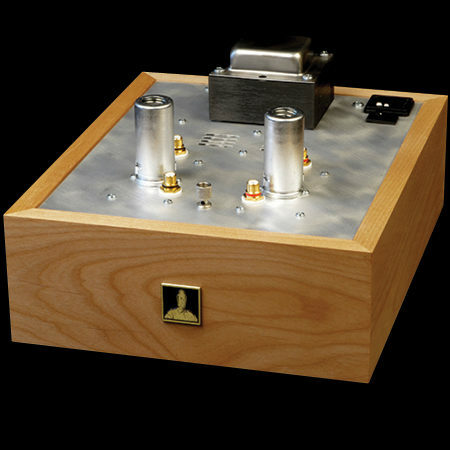 A design by Paul Joppa, the Reduction is a two stage stereo phono preamplifier (one 6DJ8 tube per channel) with passive RIAA equalization.The solid state high voltage supply uses fast recovery soft start rectifiers. The heaters are supplied with filtered DC from Schottky rectifiers, which do not exhibit the switching spikes of lesser rectifiers, the supply is shunt regulated, and the heaters themselves are bypassed with wide bandwidth ceramic capacitors to filter out interference. The passive RIAA components are high quality Vishay Dale 1% metal film resistors and close tolerance metallized polypropylene capacitors. Grid and plate stopper resistors round out the RFI filtering that lets this 6DJ8/6922/7308 based preamp perform without the edginess sometimes associated with this fast, articulate tube. Tube bias is set via Agilent LEDs, a special model that has excellent noise and linearity characteristics for this application. DISCOUNTS: When you buy 1 > Regular Price: $369.00USD • When you buy 2 or more > Sale Price: $332.10USD • Save: $36.90USD (10%)! 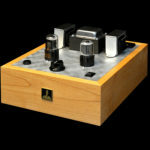 Be the first to review “Reduction Phono Preamplifier Kit” Click here to cancel reply.